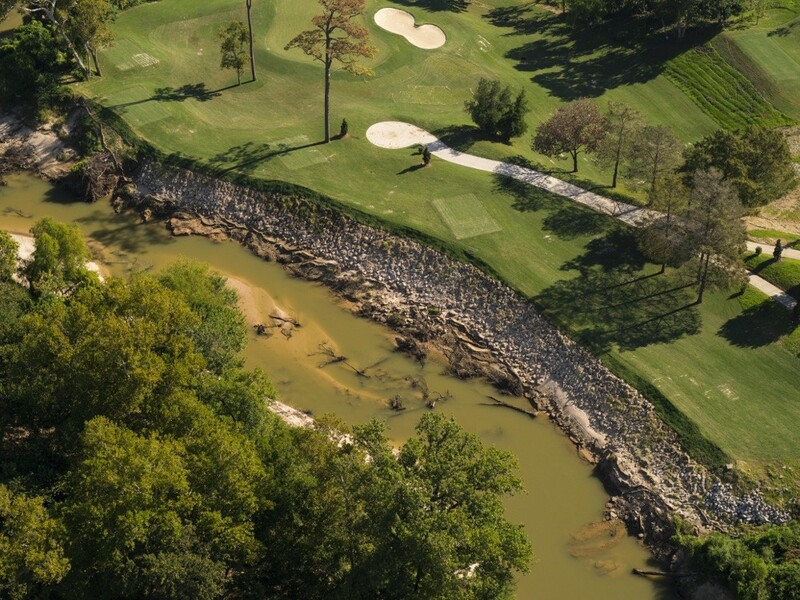 The country club armored its bank with riprap in two places late last summer. Hardening the bank, as most of you well know, is one of the most damaging things you can do to the ecological health of a stream. Not to mention what it does to your neighbors up and downstream and across the way. Another complaint: the Hogg Bird Sanctuary is falling apart. What is the Goal of Restoration? In order to answer the question of whether an urban stream can restore itself, we first have to ask: what do we mean by restore? 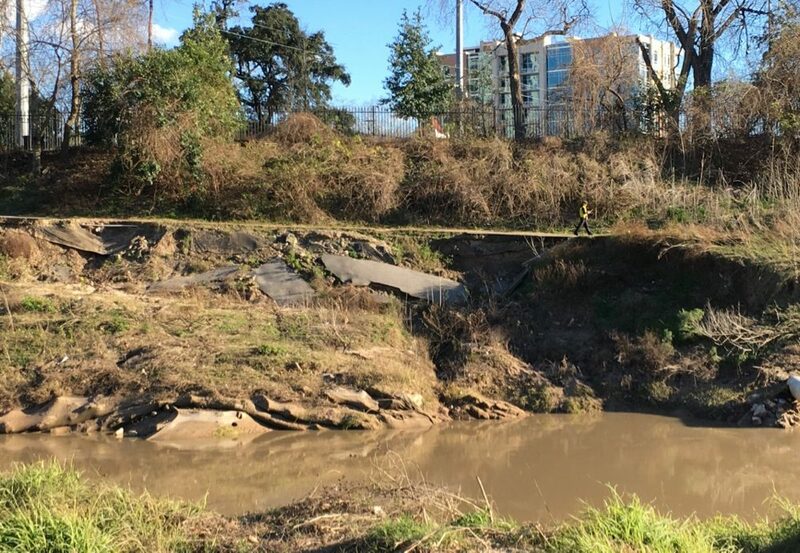 Now there are projects in places like Seattle in the Pacific Northwest and elsewhere where urban stream restoration can mean ecological restoration, focusing for instance on the microorganisms in the streambed and the water below ground. But all too often, what is meant by restoration is stabilize. Stop the river from moving. Stop the channel from shifting. Stop the banks from eroding. 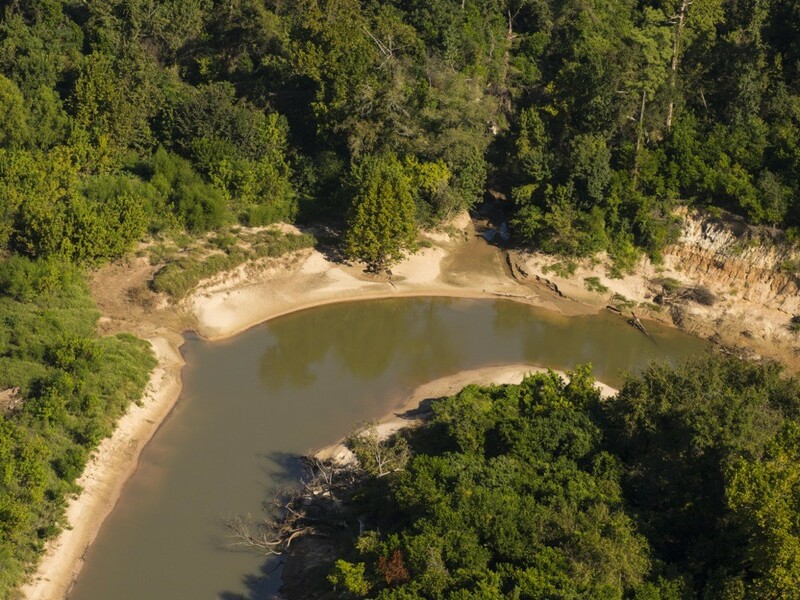 From our point of view and that of many scientists, stabilizing – or attempted stabilizing — is killing the river. 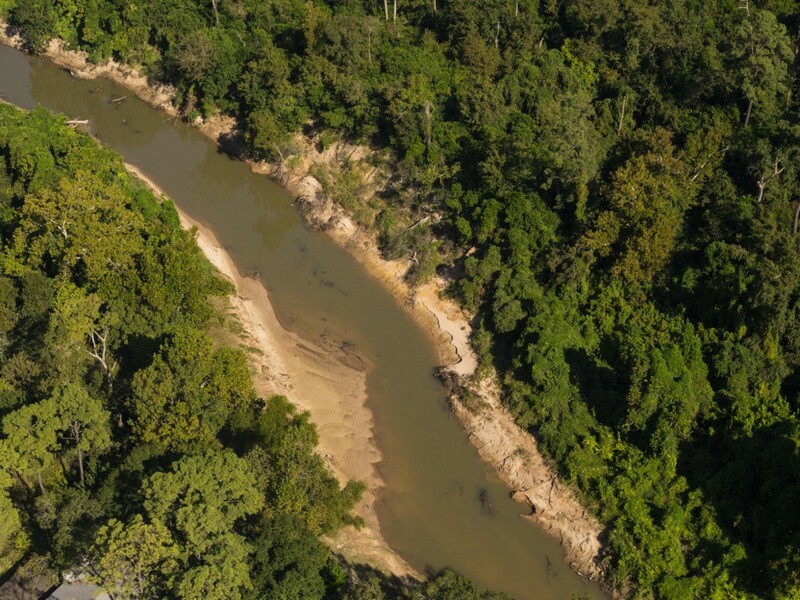 A river, in order to be alive, in order to be healthy, to be biologically diverse, to serve its purpose of cleansing the water and sustaining life, needs room to move. 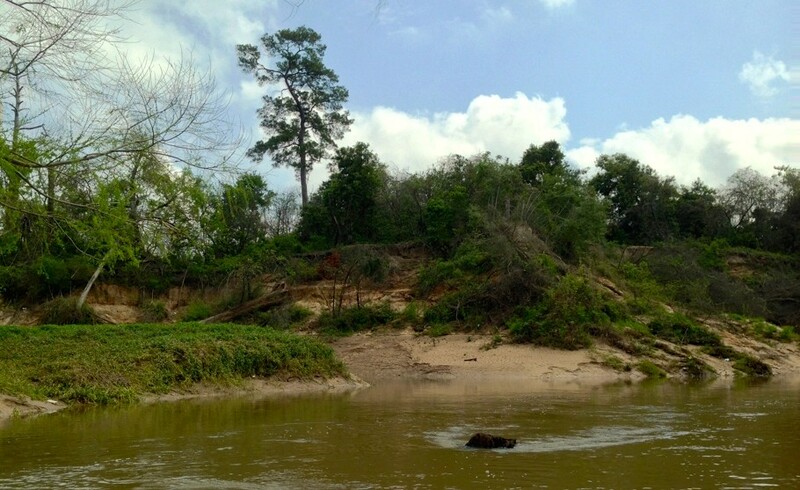 In order to restore itself and adjust to floods and high flows, a river has to move. 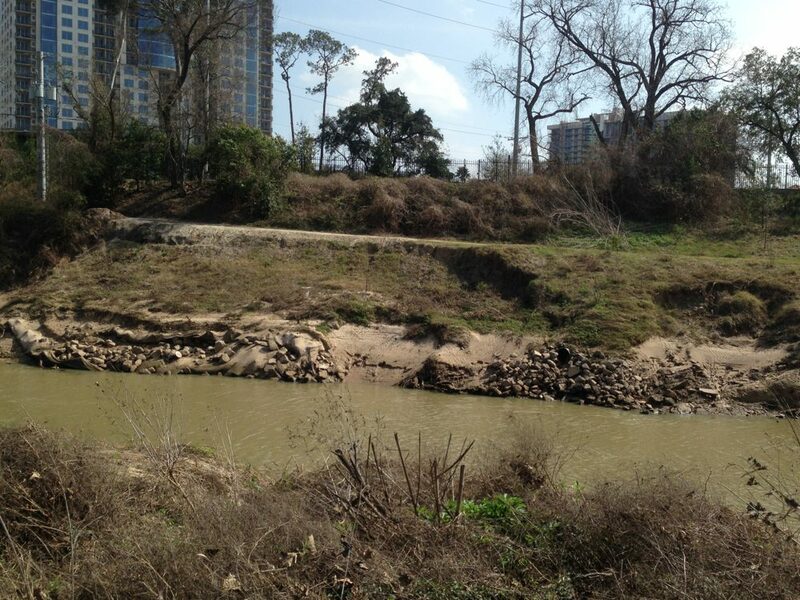 Not that Buffalo Bayou has shifted that much. 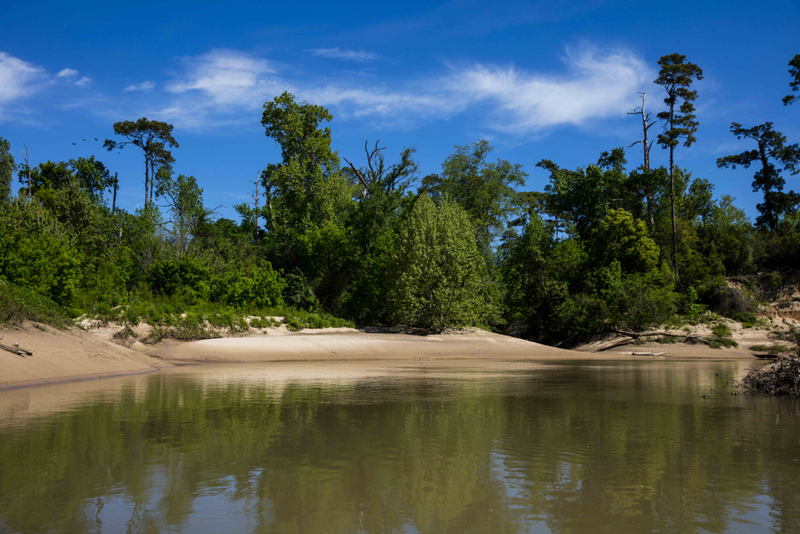 Known as the Mother Bayou, this 53-mile long central bayou is some 18,000 years old. 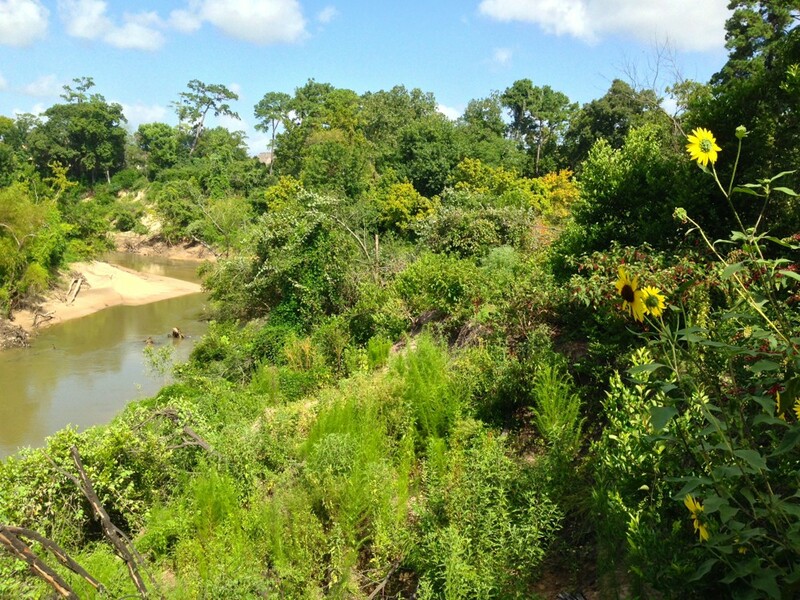 The majority of all other bayous and streams in the region flow into it before it reaches Galveston Bay. 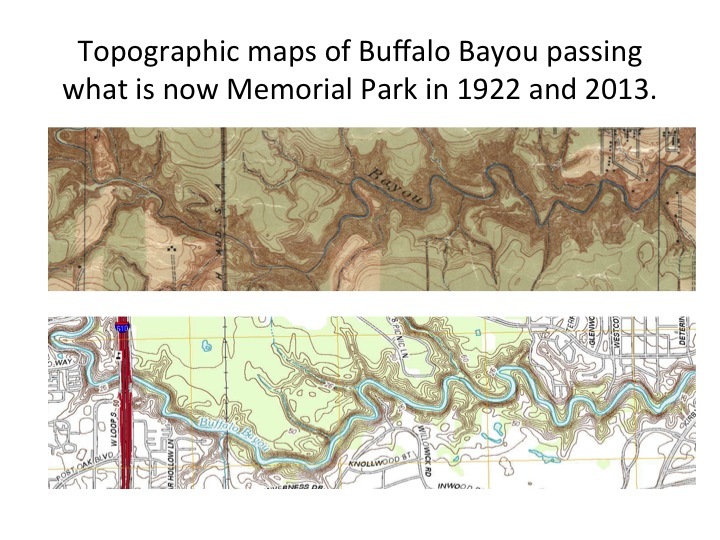 And within recorded time — that would be topographic maps from the last hundred years – the bayou channel has shifted very little. 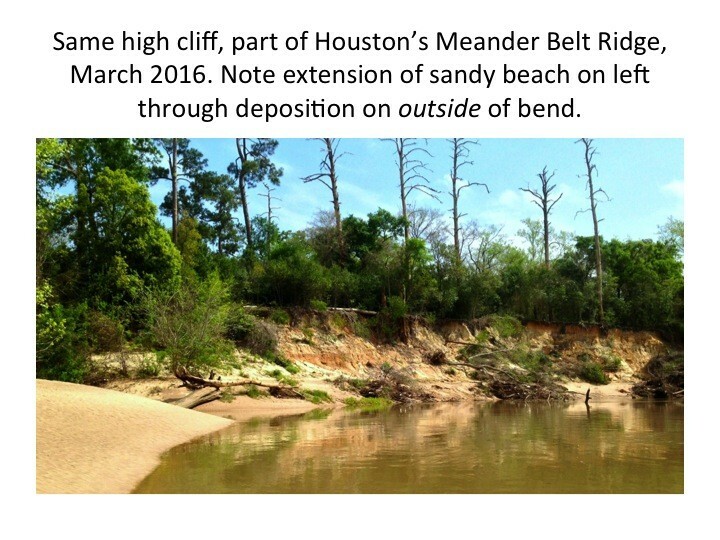 In large part due to those high cliffs, part of the Pleistocene-era (really old) Meander Belt Ridge, that act as stabilizers, bumpers, on all our west to east moving streams in the Houston area. 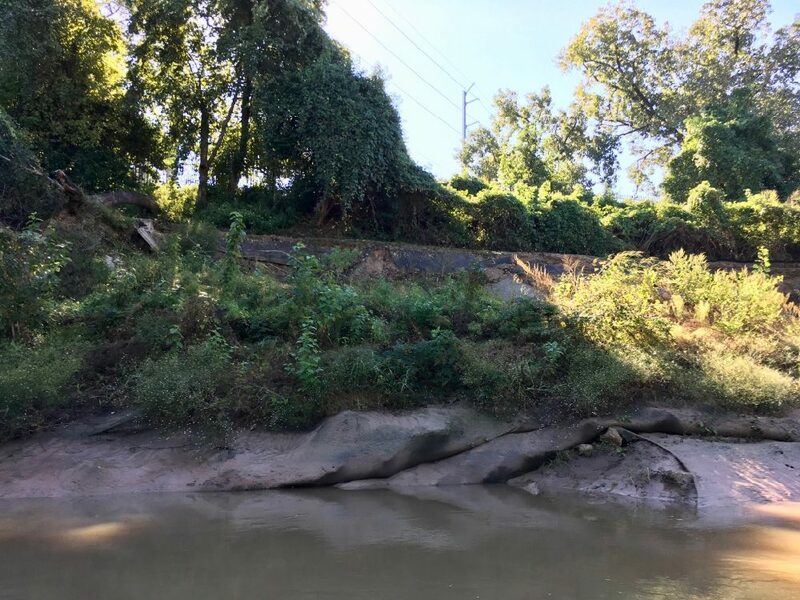 The scientific literature is replete with rebuttals to the common complaints about erosion and shifting and movement of sediment that I mentioned above. But let me quote first of all Texas’ great Steve Nelle, wildlife biologist and natural resources specialist. 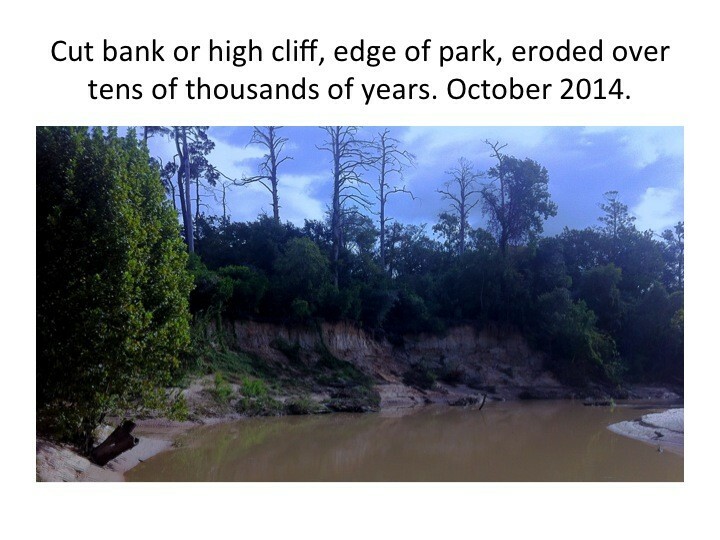 In February 2013 he wrote about erosion in his excellent series, Riparian Notes, focusing in part on myths about rivers. This myth about erosion, he wrote, is pervasive. What does this mean? 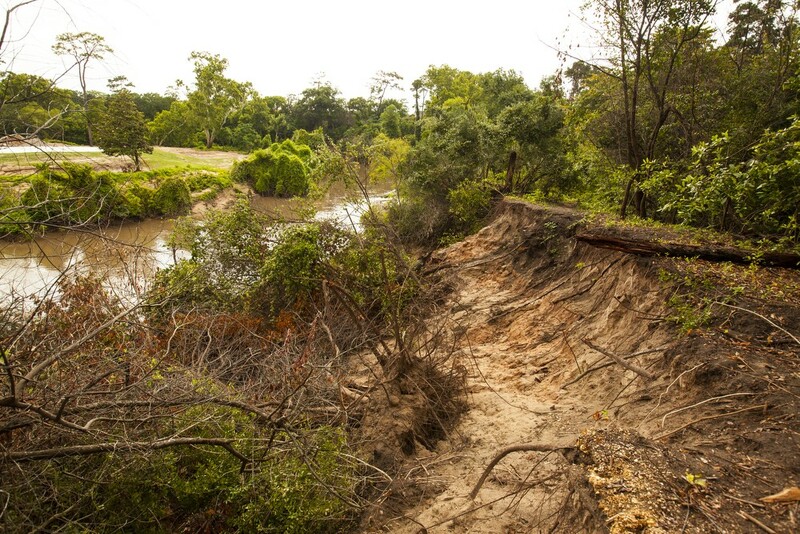 It means that eroding banks, sediment transport and deposition, shifting meanders are in fact a part of the natural repair and restoration process. Nelle doesn’t call the impacts of droughts and floods “damages.” He and other scientists refer to those changes in a river caused by droughts and floods as “disturbances,” disturbances necessary to the vital function of a stream. 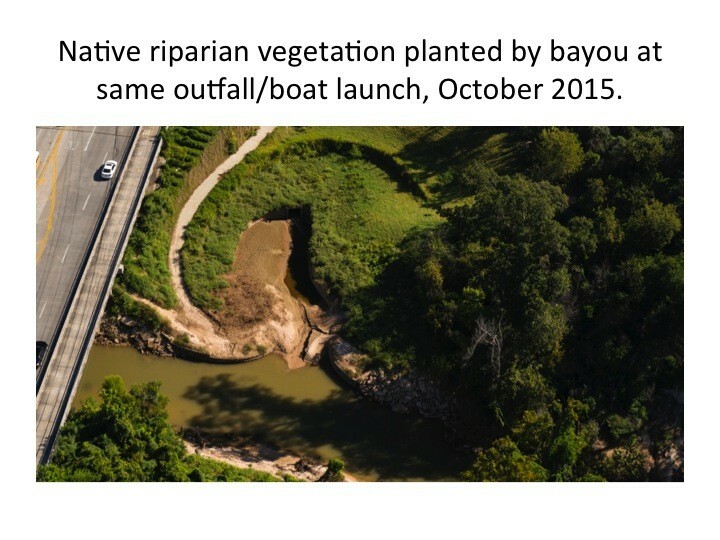 “Disturbance is often the prerequisite for change in nature,” Nelle wrote in a Riparian Note of January 2013. 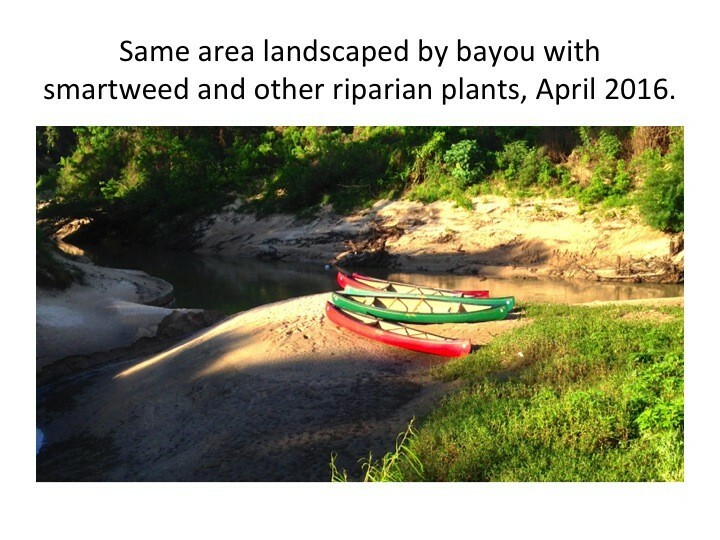 Here are some images of Buffalo Bayou landscaping riparian plant succession on its naturally sandy banks. 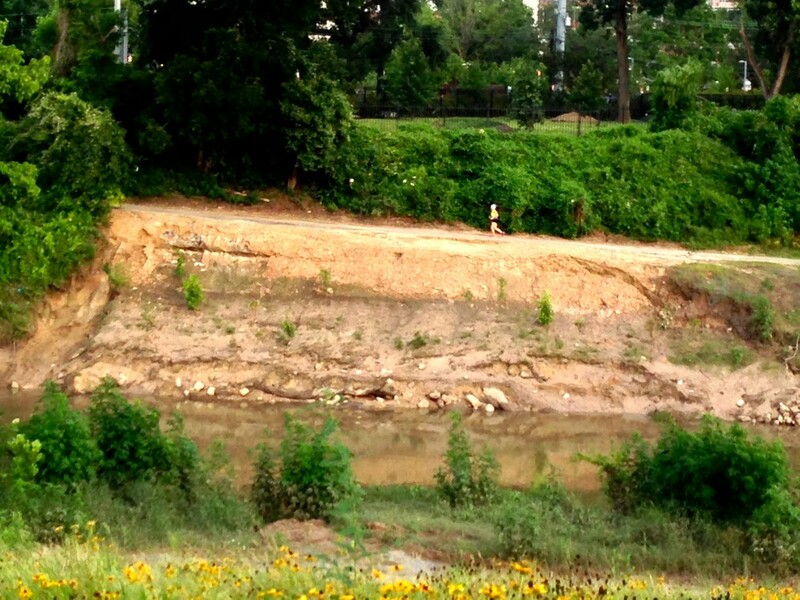 And I should point out that Buffalo Bayou has always had and always will have sandy banks. 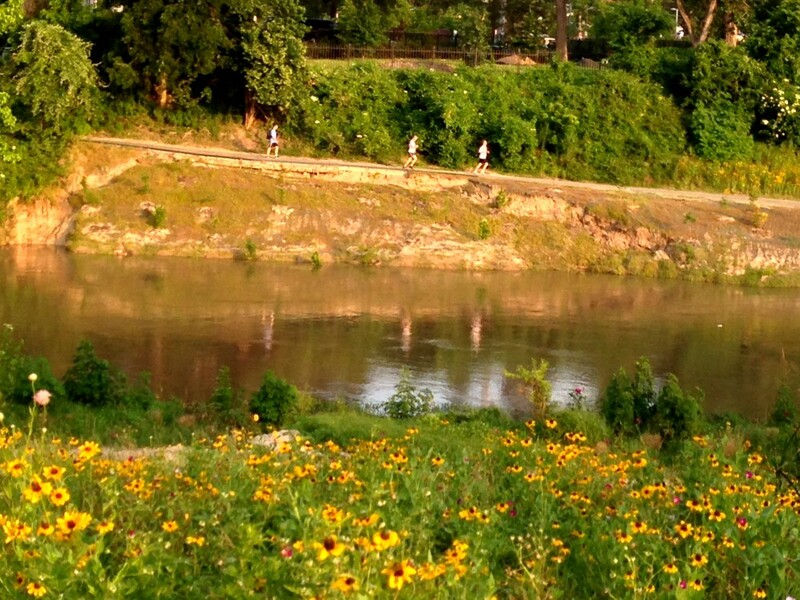 In order for an urban river to heal itself, however, it has to have room to move. 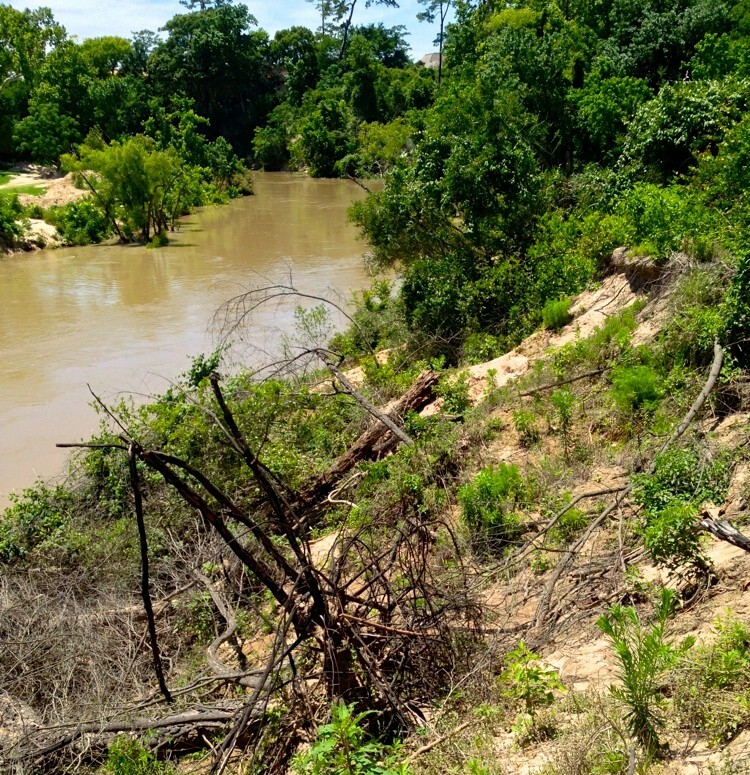 It also has to have sediment and occasional high flows. It has to have time. And we have to have patience. In Europe this concept is known as l’espace de liberté, or the erodible corridor or fluvial territory or “room for the river.” In the United States it’s referred to as the channel migration zone or the conservation area. 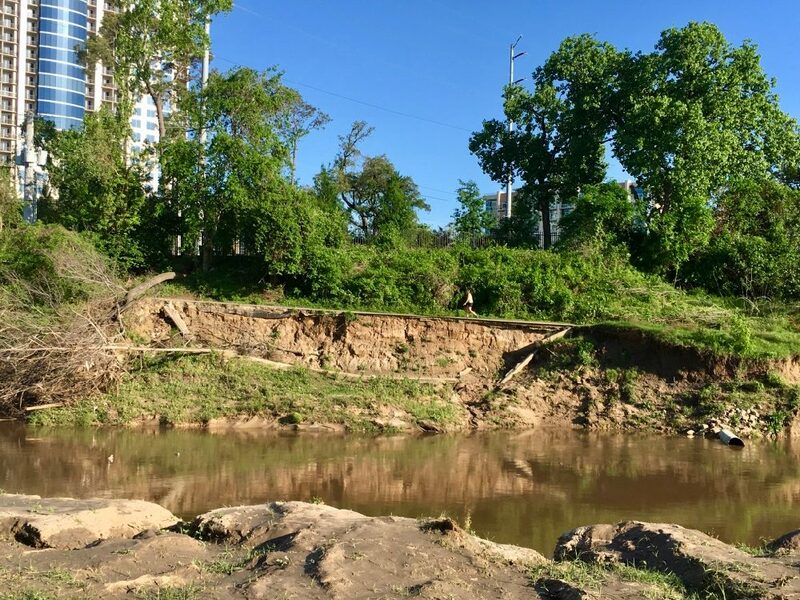 Watch this slideshow of the progress of a south-facing high bluff in the Hogg Bird Sanctuary, self-repaired by Buffalo Bayou following severe slumping during and after the May 2015 and April 2016 flooding and extended high water releases from the upstream dams. 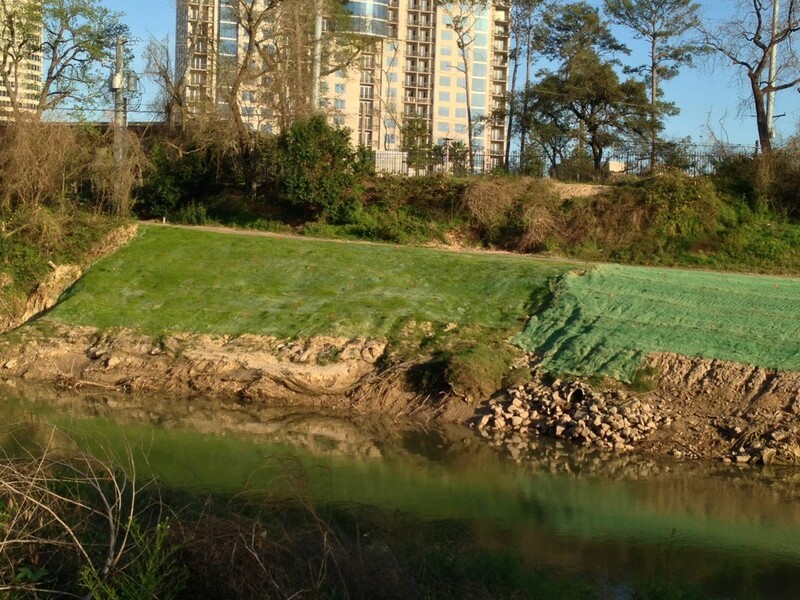 The slumped slope, which took out a gravel path, was in the process of naturally rebuilding at no cost, using brush and collected sediment, and now resembles the slope that the Harris County Flood Control District wanted to build with bulldozers and millions in taxpayer funds in the Memorial Park Demonstration Project. 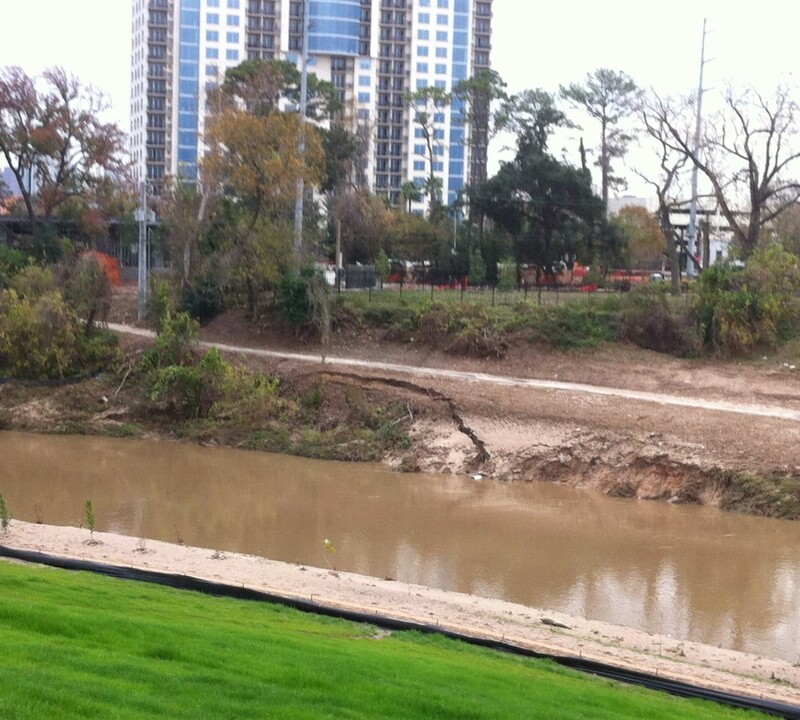 Fortunately, on Buffalo Bayou as it passes by Memorial Park, the river does have room to move. The healing process requires not just time and patience, however, but also understanding on the part of the public and public officials about what is going on. It may not look pretty right away. 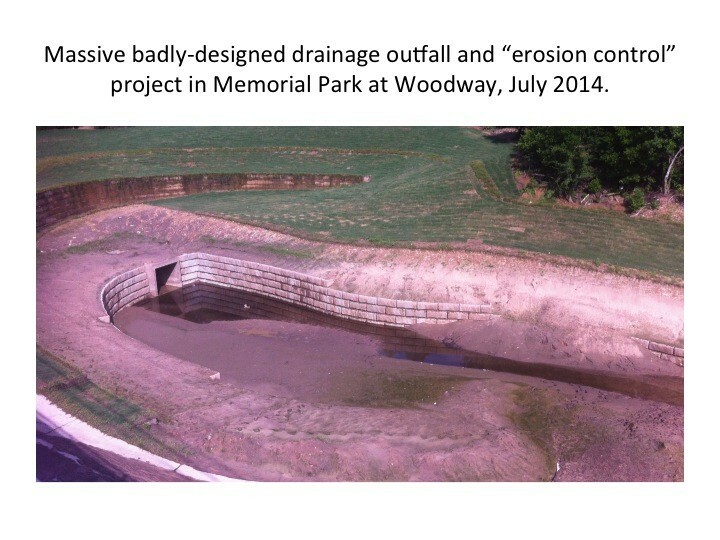 But then neither do the much more costly and constantly failing “restored” banks of the park downstream. 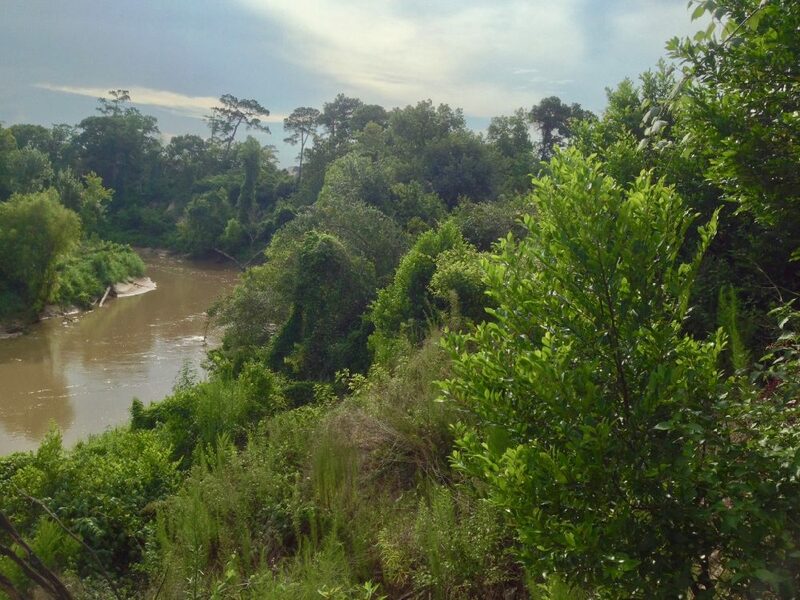 A park that was foolishly premised on the idea that the banks can be fixed in place, that the bayou will remain the same, that it won’t ever try to change, that it would never shift its banks in response to changes in its energy and flow. And we have seen this year and last that we have had and will continue to have record high flows in our bayous and streams. But what if there isn’t room in an urban area for the river to move? What if homes and parking lots and apartment buildings are already built too close to the bank and the banks are falling away? Increasingly in the United States and around the world, even in the flat, below-sea-level Netherlands, people are making room for their rivers, recognizing that a channel migration zone or erodible corridor is more practical and effective for flood control, that it is more beneficial and cost-effective to buy out properties that flood and allow room for rivers to erode, adjust, and widen themselves. 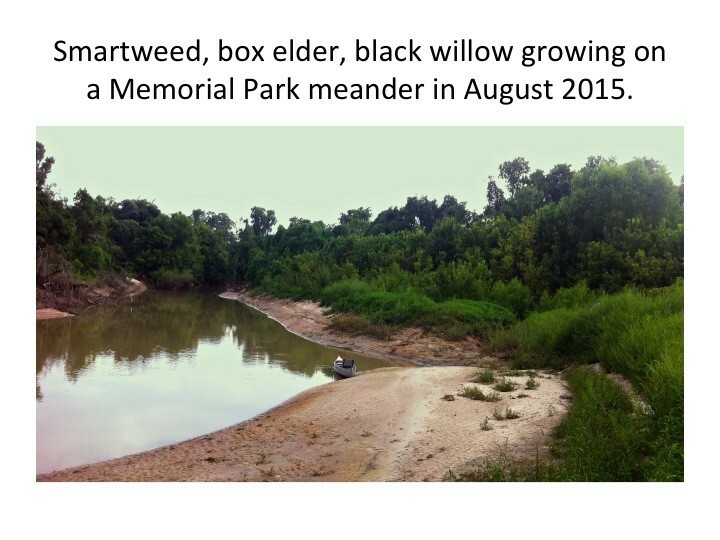 Creating public parks along these self-restoring waterways, true bayou greenways, is an added social benefit. 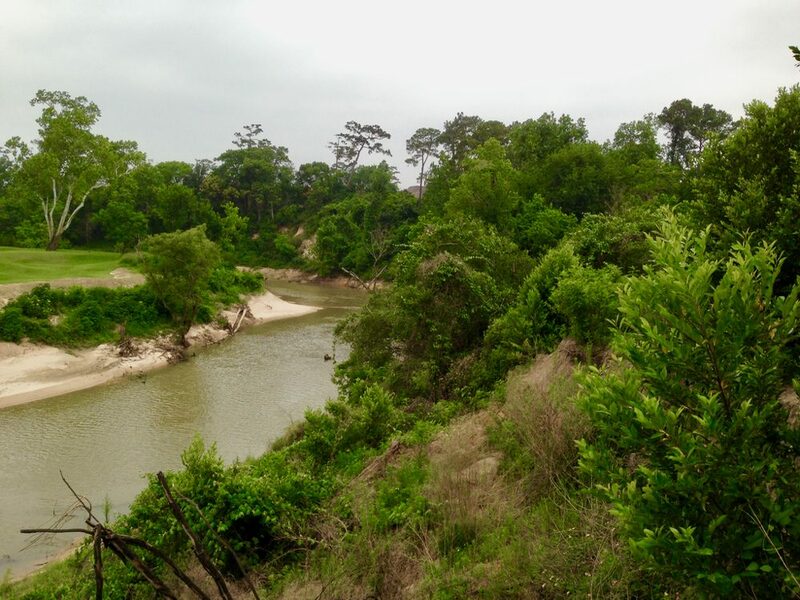 While putting this concept into practice is easier in rural areas like along the Missouri River, Harris County has an existing buyout program. 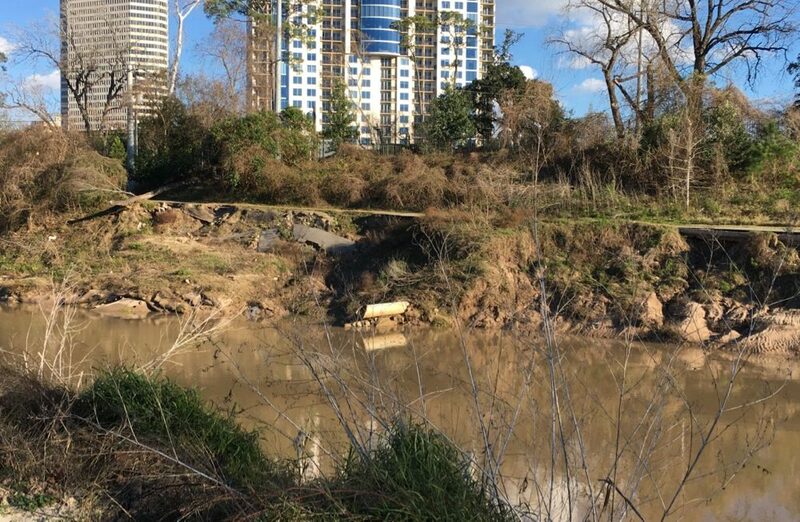 Recently Flood Control District Director Mike Talbott told the Houston Chronicle that buying up and tearing down properties to widen our waterways to handle increasing storm water could cost $26 billion. 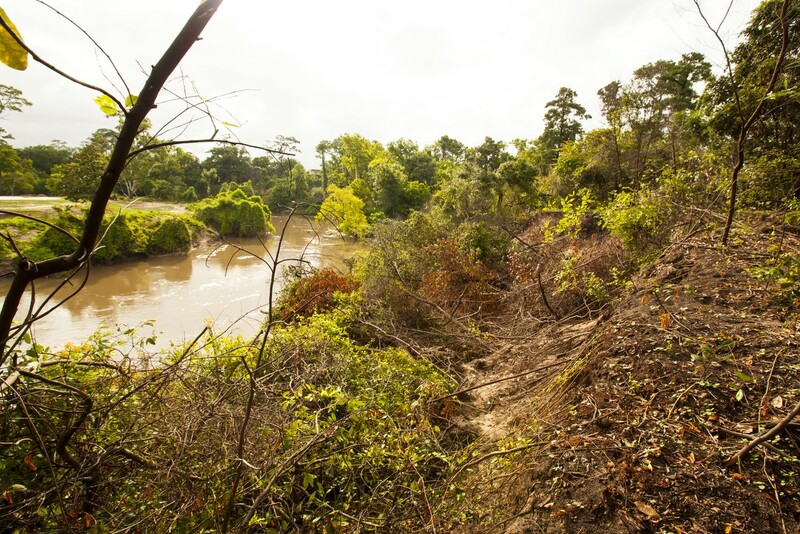 A transition committee report to Mayor Sylvester Turner on Rebuild Houston, the city’s controversial drainage program, concluded that “major upgrades” need to be made to our bayous, streams, and tributaries in order to expand their capacity to handle storm water (page 17). We hope and expect, for the sake of the health of our waterways, our own well-being, and the public purse, that these officials are talking about creating room for our waterways to move, and that rather than bulldozing and dredging, our leaders will have the vision and common sense to allow this widening and “expansion” to occur naturally. “Widening the channels themselves usually results in channel instability, and the wider channels do not maintain themselves, as the river cannot maintain such an artificially expanded width, and sediment deposits within the channel,” University of California, Berkeley Professor Kondolf wrote in an email last fall. “This then requires expensive dredging and an endless cycle of ‘serial engineering’ – in which each engineering intervention produces a reaction, which prompts another engineering intervention, and so on. 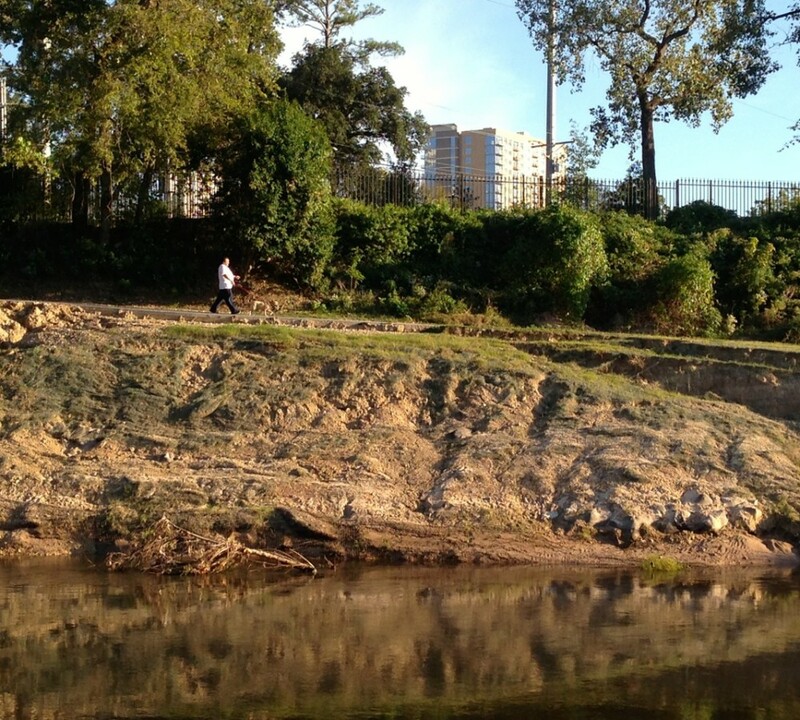 But the fact is that in an urban area, with enough space to run freely, a river can and does restore itself. 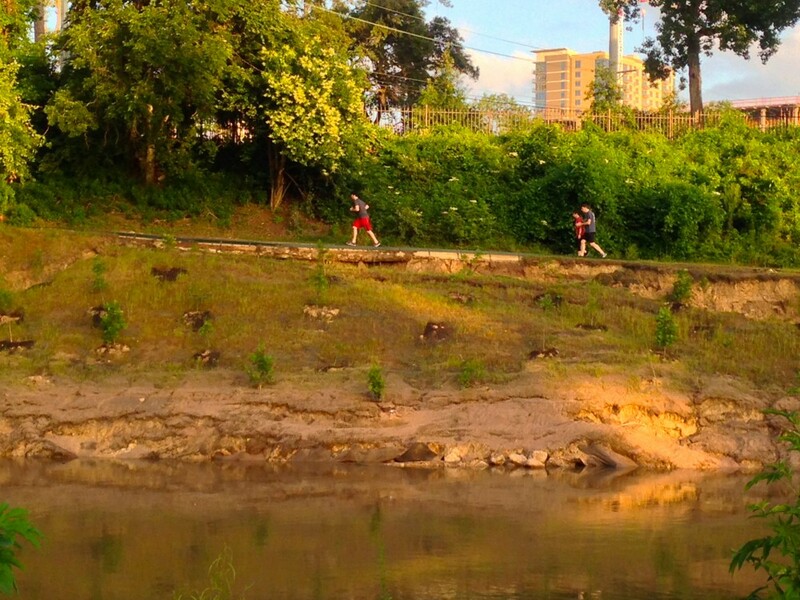 A free-flowing river is always in the process of restoring itself. as close as we can get to it. Thank you for your clear writing and your fine research. Excellent article! Good overview of river morphology and processes for the layman and consequences of past, current but hopefully not future river engineering practices. Thank you for the excellent article and concise explanation of what constitutes good stewardship, patience and getting out of the way. 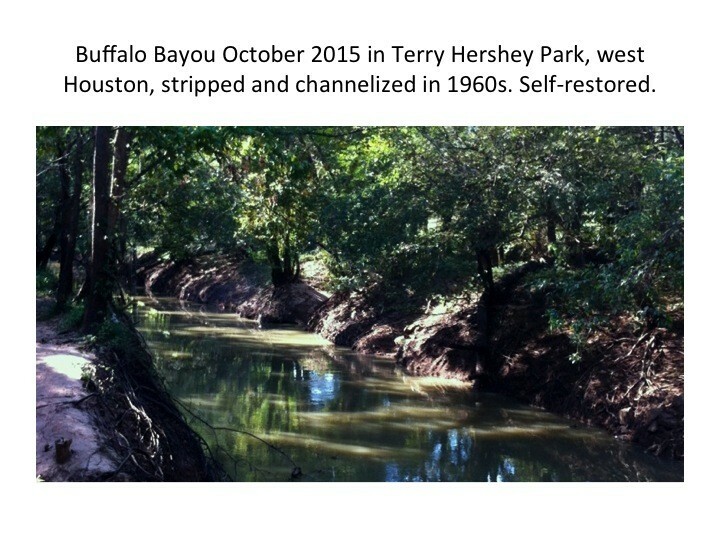 Wondering if the HB 5025 will provide the funds to further damage Buffalo Bayou, under the guise of “flood control” (Houston Chronicle 6.17.16 page A23)?